Imagine sipping on a cold milkshake on a hot day, or arriving just in time for an important appointment, maybe receiving a warm hug from someone you genuinely care about. All those emotions stir up some type of relief and tranquility. The first time I listened to Solange Knowles “Don’t Touch My Hair”, I felt like I was floating in a bubble, things felt so surreal. Her voice is so mellow and relaxing that you can’t help but drift away. The instrumentals blend perfectly with the tone of her voice and the drumbeats make the song have so much volume, although I can’t get over the musical production another factor that makes this a great song is the visual appeal. The video is hectic! The creative and artistic ideas ooze from the video, it has so many political messages and the way that different people of colour are celebrated is magical. The theme was well thought out and there’s nothing more exciting than an artist who is not afraid to experiment and try out different things. Solange is known for her abstract fashion, great song writing skills and for being a creative genius, since way back from when she released the “Losing You” music video, a few years ago . There’s a pattern of how she plays around with colourful concepts and explores different ways of communicating her music across to different audiences. “Don’t Touch My Hair” has a personal meaning and a deeper connotation, in-terms of the world we are living in and the social, gender, racial issues we face on a daily, she carefully deconstructs how all these issues are displayed through different things such as hair. 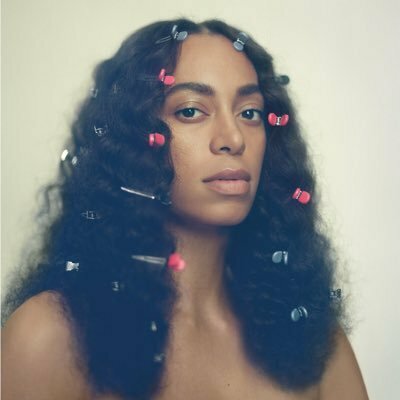 We are super thrilled that Solange is back and we hope that she will continue blessing us with her fresh, innovate and brilliant music.